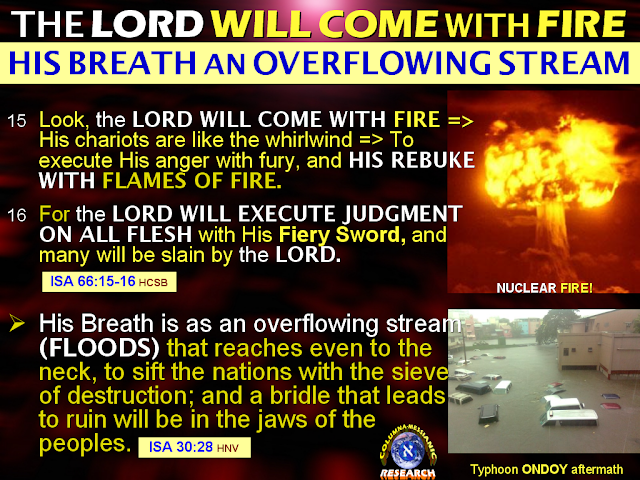 COLUMNA MESSIANIC RESEARCH CENTER: Climate Change Purpose 2: TO EXECUTE JUDGMENT ON ALL FLESH (Isaiah 66:16). 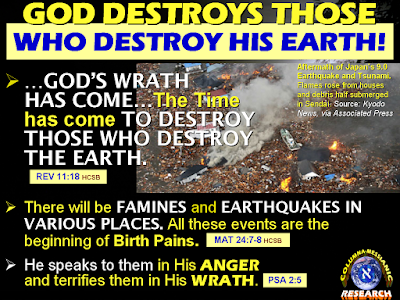 Climate Change Purpose 2: TO EXECUTE JUDGMENT ON ALL FLESH (Isaiah 66:16). NOTE: Nothing happens in this world, either good or evil, without the express permission and divine purpose of the Creator God. 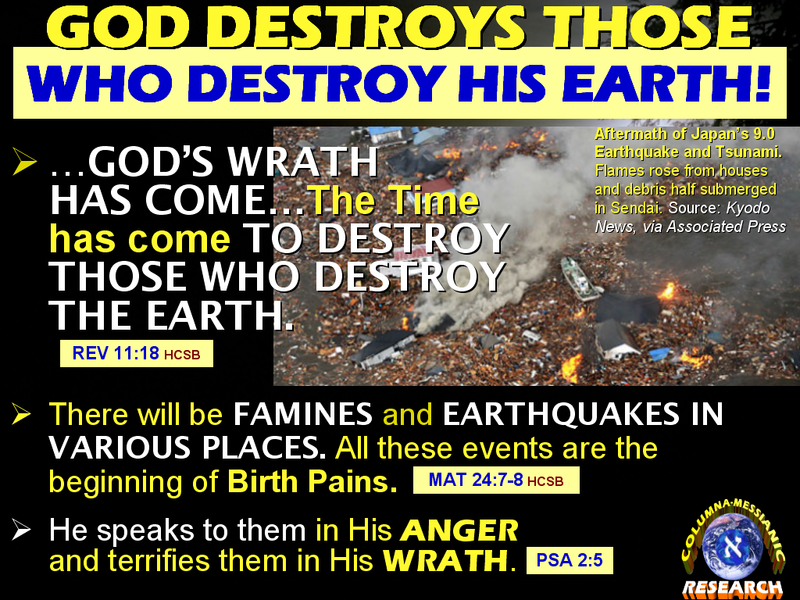 As Man continue to corrupt and damage God's Earth, God Himself will use the resulting destructive Climate Change to Execute Judgment on Mankind. Measure for Measure. Whatever you sow, you shall reap.